If your little one needs a hair bow for every occasion, I have found the cutest one for Easter. 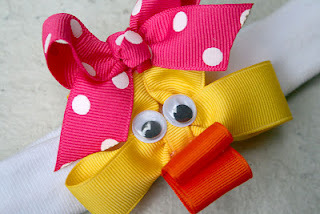 An Easter duck bow. Even if you aren't a hair bow aficionado, this bow comes with a video tutorial to walk you through making your own. You can check out the duck bow tutorial over at My Name Is Momma.